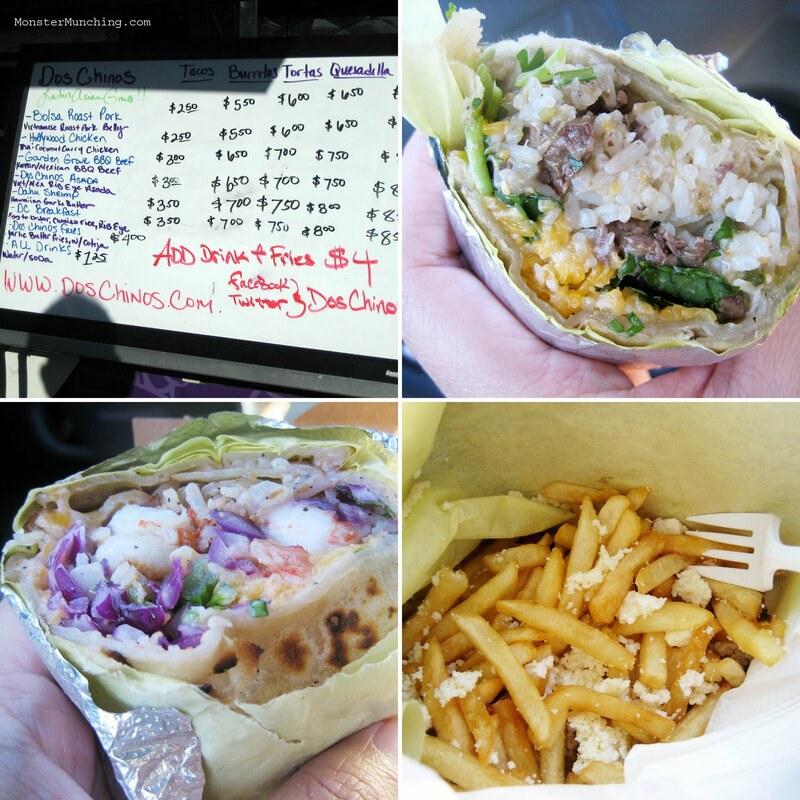 Face it folks, this food truck fad isn't going away soon. Of the many newfangled food trucks out there, there are few that didn't take its cues from Kogi, the one that started it all. Dos Chinos' Latin-Asian imitation of what Kogi does is flattery at its most sincere. But then, Kogi itself wasn't exactly original. It got the idea from a blogger. I think Krusty the Clown summarized it best when he said, "If this is anyone but Steve Allen, you're stealing my bit!" But I digress. Imitator or not, Dos Chinos is great. If you're going to find your inspiration from something as iconic as Kogi (yes, Kogi is now an icon), you couldn't do it better than what Hop Phan and crew have done at Dos Chinos. In actuality, apart from the fusion-y aspects it shares with Roy Choi's concept, Dos Chinos has a flavor profile all its own. As most of you who've already tried both will already know, Kogi tends to favor the heavy, the cheesy, the bold. Dos Chinos is lighter on its feet and in what it puts into its tacos and burritos. Rice inhabits most things, as does cabbage, cilantro and salsa. A shrimp burrito actually does taste like something out of a Hawaiian shrimp truck, a scampi-like preparation that mixes so well with the Mexi components that it boggles the mind why no one did it sooner. The Korean BBQ beef is sweeter than carne asada, but it still makes sense wrapped up inside a toasty and pliant tortilla. But perhaps the best thing the truck produces is the fries, a deceptively simple and humble mound of fried-from-frozen garden variety spuds. It's sprinkled garlic butter and crumbles of cotija cheese to become an addictive substance that is immediately better than the sum of its parts. It shows that in the end, it matters not who you take your inspiration from. What matters is that you put out something good...that just might inspire someone else to copy you later. [as are about 50 other episodes]. That's fortuitous, because I write the reviews so that I have an outlet to quote The Simpsons! "it matters not who you take your inspiration from. What matters is that you put out something good." Great point! The end product is what matters because that's what people are going to fall in love with. Keep the food trucks coming! The Kogi back story is fascinating. I honestly didn't know. I've eaten from the Dos Chinos truck twice now but it didn't really stand out. Though I have to say that they have good customer service. I'm one of those people who like to customize my order sometimes and they got it right the first time. I really appreciated that. "The end product is what matters because that's what people are going to fall in love with." True. And in the end it falls to survival of the fittest. 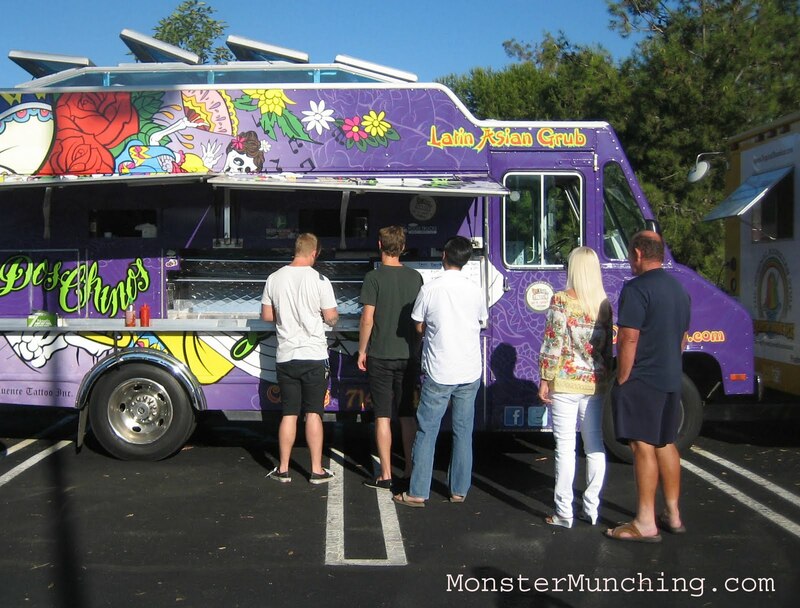 I've seen many food trucks that aren't offering what people want fall by the wayside. Isn't that an enlightening story with Kogi? Dylan's actually a good sport about it.